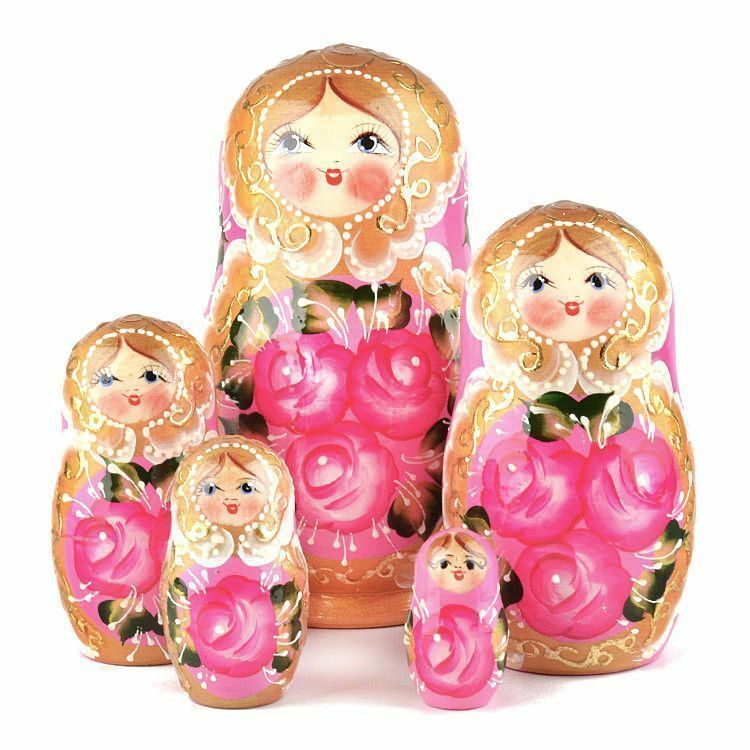 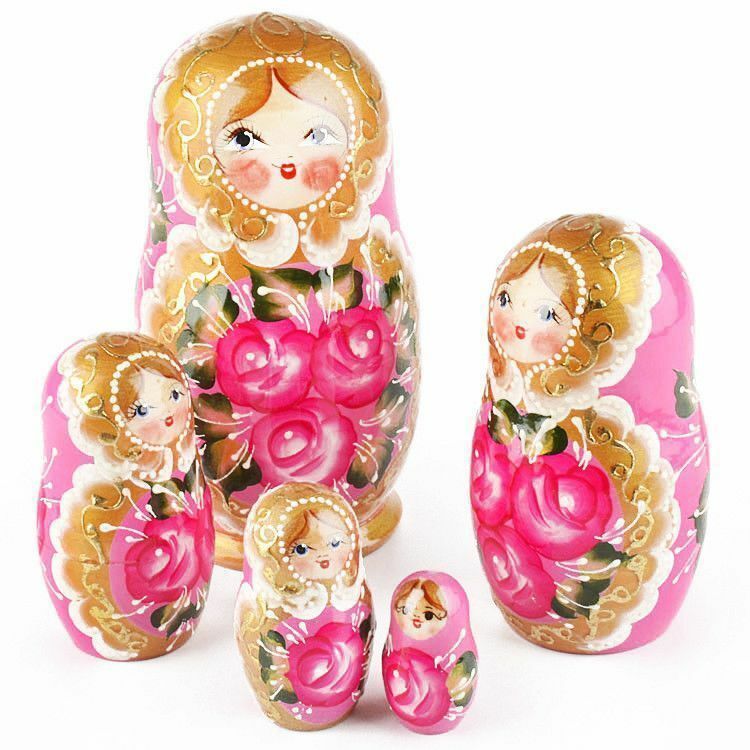 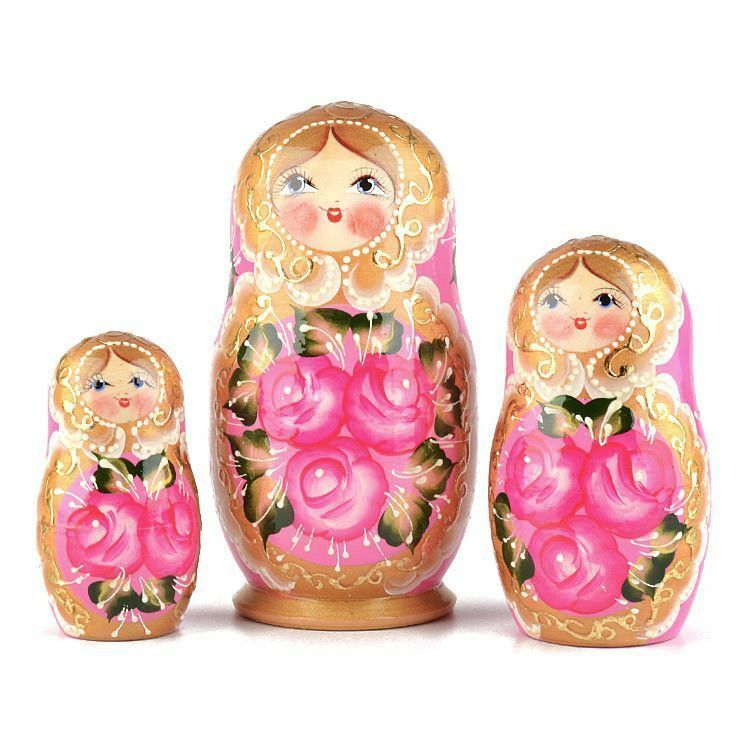 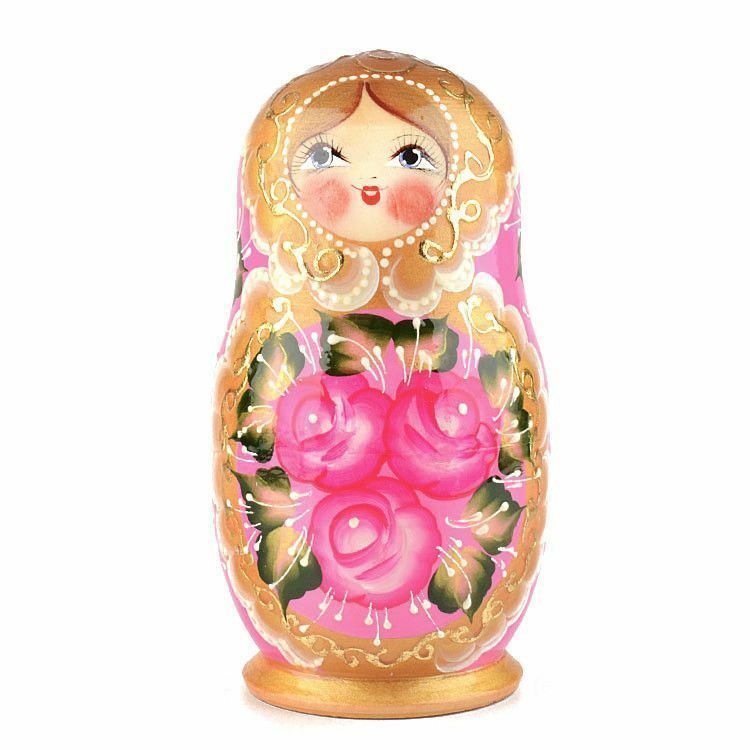 This cheerful pink rose beauty doll is nearly 7" tall and has a hot pink rose floral theme against a pink color background, accented with green, white, and a lot of gold color. 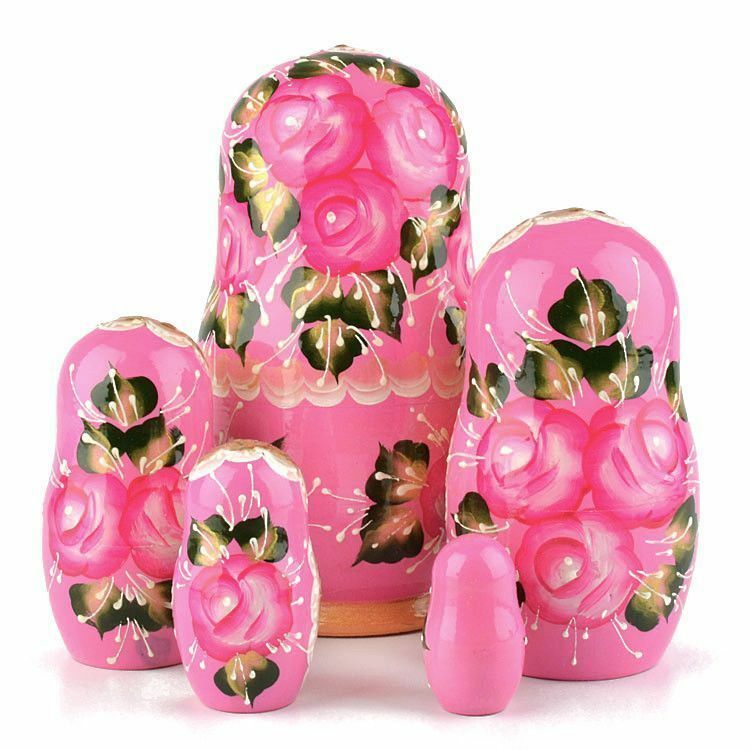 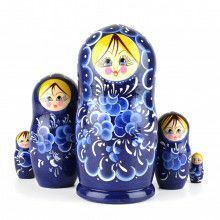 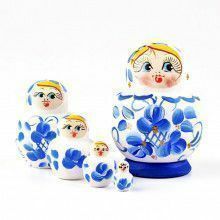 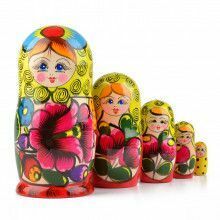 The Russian artist who hand-painted this nesting doll used many small dots and lines to make a lasting impression. 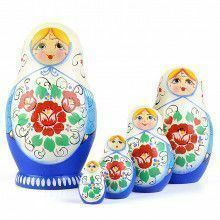 What a beautiful and unique way to decorate your home! 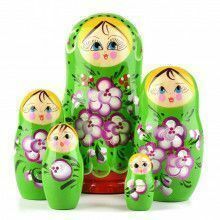 Crafted by hand in Russia.